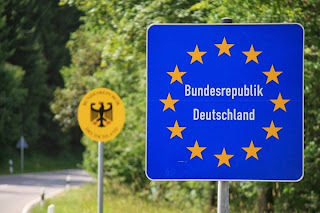 The German coalition agreement - whose Europe-section you will, as of yesterday, already be aware of if you read our daily press summary (sign up!) - also contains some interesting points on the rules around EU free movement and access to benefits. In light of Cameron's much-hyped crackdown on access to benefits for EU migrants, this is significant - particularly for future efforts to seek reform of the EU rules governing this are. “We want to retain acceptance for freedom of movement in the EU. We will therefore tackle unjustified benefit claims by EU citizens. To improve living conditions in the countries of origin we will lobby for these countries to tap EU funding and deploy it in a targeted way." "We want to reduce incentives for migration into the welfare systems by making amendments to domestic laws within the framework of European law. This requires consistent execution of administrative provisions, the combating of black-market labour and feigned self-employment, better cooperation between Customs and the authorities on the ground, better exchange of data between the authorities as well as the enabling of time-limited re-entry bans. Having consideration for ECJ jurisprudence, the conditions for claiming and for excluding claims to basic subsistence shall be made more precise. "Poverty migration is causing considerable social problems in individual cities with regard to integration, securing existence, accommodation and health provision. We recognise the burden on local authorities in coping with their tasks. Local authorities affected in particular by poverty migration shall be given the timely capacity to resort to a greater extent than hitherto to existing federal funding programmes such as Socially Integrated City”. As its Germany, the rhetoric around the issue is more cautious, but the ultimate objectives are similar, which suggests that the UK could count on support if it makes a concerted effort to re-draft the rules around EU migrants' access to benefits. I have never accepted unqualified freedom of movement, and I don't want my tax money to be wasted in futile attempts to encourage people in poor countries to stay at home and build up their own country rather than moving to my country.